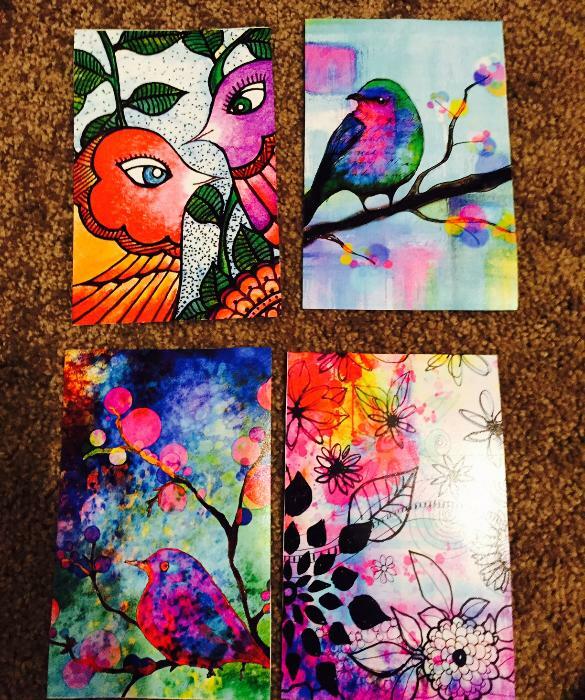 These original art postcards are created by Robin Mead in her studio. She uses 140 lb watercolor paper adhered to 100 lb card stock, and Sakura inks. She design, paint produce and assemble everything by hand, and they may have some imperfections or differences in each as they are not mass produced. Each one has a postcard template on the back with her website address and a small logo. These cards measure 6in x 4in.